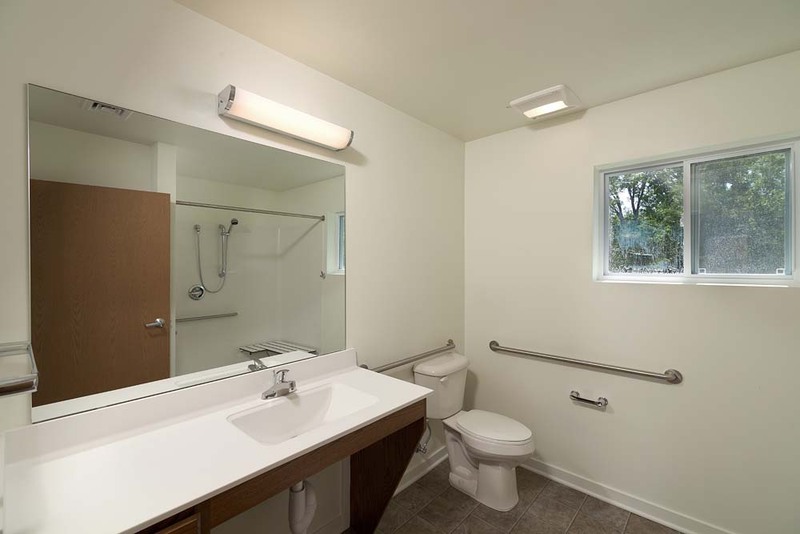 Ferris State University: West Campus Apartments | AVB Inc. This Ferris State University student housing project was certified LEED Gold. The project includes two-story, seven and eight unit, wood-framed buildings consisting of four-bedroom, two-bathroom units. These buildings were designed to fit seamlessly into the existing FSU Community. A key challenge for this project was the removal and replacement of 9,000 cubic yards of unsuitable soil before starting foundations. With the help of FSU’s GIS mapping technology and the experience of the AVB team, we were able to remove the soil to keep the project on budget and on schedule. Both buildings are LEED Gold certified.